So, did we ..like sign ANOTHER GK from Schalke? Lukas Raeder is the name, football is the game, buying all the Schalke players - no shame. Yes, we have bought Lukas Raeder. 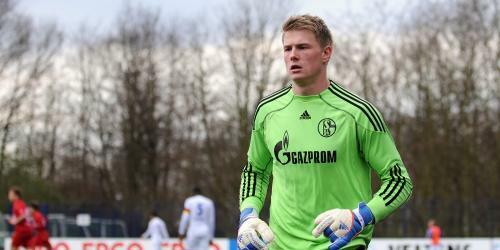 He is an 18-year old goalkeeper who plays with Schalke 04's U19 squad. He will be playing with FC Bayern II next season. The 1.93m tall Raeder will move to FC Bayern on a free transfer as his contract expires in summer. Welcome to FC Bayern, Lukas! Bayern in action of buying S04 GKs. Neuer will become Lukas' Il Mentore. Almost certainly a buy for Bayern II, but could he be our Neuer backup? Schalke 04 - Bayern's official goalie-factory. I think that the existence of Schalke lies in to produce goalkeepers for us. Schalke is to Bayern as Arsenal is to Man City, apparently. But out of the four teams only one consistently wins trophies. Surely Daniel Müller can still play? BayernLove wrote: Surely Daniel Müller can still play? It's bad news because he seemed to be doing well. Fortunately, he is just a 3rd/4th option. 4-5 months will pass very soon. Fénix wrote: Fortunately, he is just a 3rd/4th option. 4-5 months will pass very soon. I know, but there are also Riedmüller and Müller as a replacement.